American Sewing Expo 2014 APPROACHES! Summer is ending (yay!) and Fall approaches (EVEN MORE YAY), and that means that the AMERICAN SEWING EXPO is approaching! If you've been paying attention to the Facebook pages of both my Cosplay Page as well as my Art Page, you might have noticed that I was posting a bunch of posts about the show (and probably will until the show happens next week!). But it's all probably very overwhelming, so I wanted to take some time here to give you guys a better write up as to what exactly is going on and what I'm doing here! The American Sewing Expo (ASE) is baaaaasically like a "convention" for sewing enthusiasts. It's going to be set up at the Suburban Showcase in Novi, MI, and runs for three days: SEPTEMBER 26-28. There's panels/workshops/events to attend (their registration is currently closed, but entry fees are VERY affordable - I think a one day badge is $14? ), there are show type events (fashion shows and such), guests, and of course, a vendor hall. I move a lot during my panels. This year, the show itself is having a special "sub-theme" of COSTUMING. 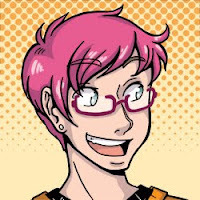 With things like cosplay hitting the more mainstream, the show wanted to highlight that sort of thing and try to bring some new(er) sew-ers into the fold! That's why they're having their very first COSTUME CONTEST. The contest will take place on SUNDAY SEPTEMBER 28th, which is also coincidentally COSTUME DAY. From what I hear there will be a special thing for the first 100 people in costume that day! If you like sewing and costuming at all, I'd say the show is definitely worth a visit - it's vastly different feeling than anime cons, and it's refreshing for a breather. Now onto the nitty gritty - the stuff I'LL BE DOING while I'm there. First off, I'll be doing three different panels over the weekend at multiple times (there might be a fourth I'm helping with, but I'm waiting to hear back). 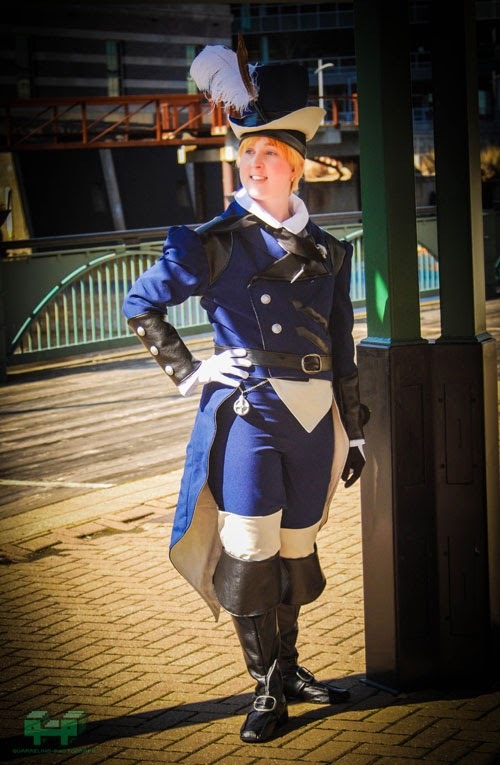 A general overview of what cosplay is, and why it's not so scary. 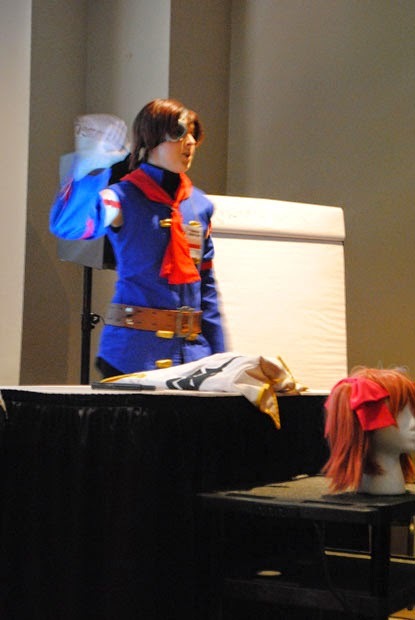 I plan to cover common terms, events, and what to expect as a cosplayer. My basic panel on how to pick out patterns, fabrics, and generally put together garments as oft times cosplay requires a bit of ingenuity and creativity in mixing & matching patterns, fabrics that do things they shouldn't, and all the other stuff to help your outfit look nice. This one was new to me, as this year the show is hosting what is called the "Social Media Lounge". Each day they'll have some time allotted for the costuming guests (I believe there are three of us total), and you can come into the lounge and chat us up about costuming! Don't worry - there's no cost as it's a FREE event once you've got admission to the show! As one of the costume representatives, the show has allowed me space to display a handful of my favorite costumes I've made over the years. It'll be a pretty big display as they're letting me put up like 8 costumes! So stop by their display area and take a look! Other than that, when I've got downtime, I'll be wandering the show, takin' pictures and the like. I hope that if you're in the area you consider coming to the show! 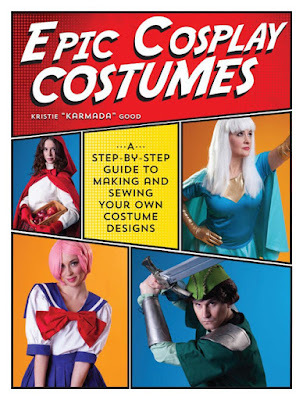 COSPLAYERS, REPRESENT!